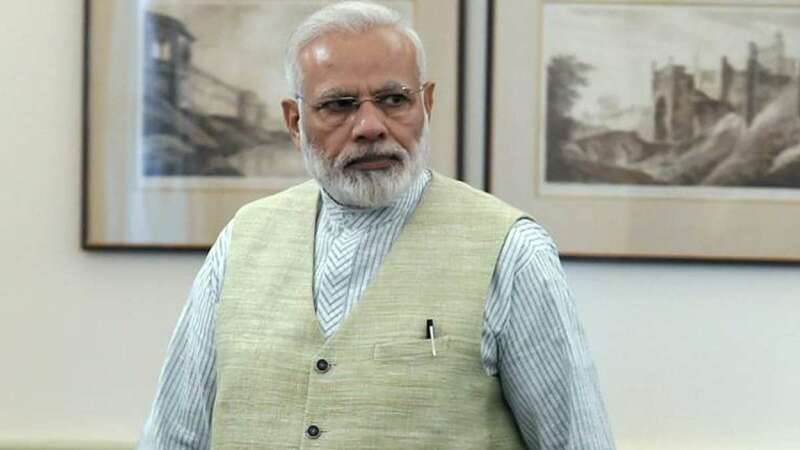 Mumbai : Prime Minister Narendra Modi will perform the 'bhoomi pooja' (ground-breaking ceremony) for the upcoming Rs 16,000 crore Navi Mumbai International Airport (NMIA) on February 18, it was announced on Monday. The new airport, in the adjoining Raigad district, will be the second international aviation hub for Mumbai, presently served by the Chhatrapati Shivaji International Airport, which has almost achieved saturation point. The NMIA will be constructed by the GVK Power & Infrastructure Ltd (GVKPIL) as per a Concession Agreement signed on January 8, with the City & Industrial Development Corporation (CIDCO), the nodal authority of Maharashtra to oversee the project implementation. The agreement has created a special purpose vehicle - Navi Mumbai International Airport Pvt. Ltd (NMIAL), in which the GVKPIL, through its subsidiary, Mumbai International Pvt Ltd, holds 74 percent equity, while the rest is held by CIDCO. The initial concession period is 30 years, from the appointed date, which is extendable by another 10 years, for the project in which GVKPIL was declared the successful bidder in February 2017. The NMIAL, a greenfield airport, will be constructed in the PPP mode on 1,160 hectares on the mainland in Navi Mumbai, across the Mumbai harbour, with the advantage of the upcoming Mumbai Trans Harbour Link, a Special Economic Zone and other major infrastructure developments coming up. CIDCO, which holds 26 per cent stake, will foot the pre-development expenses which will be later recovered from GVK, besides getting a 12.6 per cent share in the annual revenue from the mega-project. The GVK, which currently manages the Mumbai International Airport Ltd, had submitted the highest revenue sharing model of 12.6 per cent per annum over its sole closest competitor GMR (which manages the New Delhi International Airport) which had quoted a figure of 10.44 per cent. With two major airports under its belt, the GVK plans to soar and develop its airports business globally. Besides Modi, Maharashtra Governor C.V. Rao, Chief Minister Devendra Fadnavis, Civil Aviation Minister P. A. Gajapathi Raju, Union Transport Minister Nitin Gadkari, top GVK and CIDCO officials will be present for the event next Sunday.